We have now added a digital waiver for every athlete to agree to in order to compete. We will have the list of athletes that have signed the waiver prior to the event. COACHES YOU WILL BE ABLE TO PICK UP TEAM PACKETS SUNDAY MORNING AT 10 AM. We at PDXC Youth Running Series would like to welcome all competitors, coaches and parents to this year’s Oregon Middle School State XC Meet. We are excited to have so many runners participating and we know there will be some great races and wonderful experiences. We would like to extend a special Thank You to Coach Mike Johnson at Western Oregon University for so graciously allowing us to use this wonderful facility at Western Oregon and Ash Creek to host the meet. I believe you will find it an awesome race course. Western Oregon University student- athletes will also be serving as volunteer officials for this meet…….Go Wolves!!!! We also welcome the addition of Dan Bowdoin and Athletic Timing to the team for this meet as he provides live results … this will be exciting. And finally Thank You to Willamette Valley Track and Field for making this event possible at no cost to competitors…..How cool is that!!!! You will find some basic instructions on this page. If you have any further questions feel free to ask at the coaches meeting or ask anyone at the finish line area and we will get an answer for you. 11:15 AM. PLEASE ATTEND MEETING. PLEASE MAKE SURE RUNNERS PIN THEIR RACE BIB ON THE FRONT OF THEIR JERSEY. Runners may keep their race bib as a souvenir from the meet. Your athletes must wear the timing chip in order to get an official time and place. race the chip will be cut off the shoe. COACHES AND PARENTS ARE NOT ALLOWED IN THE CORRAL AREA AT THE FINISH LINE. THEIR ATHLETE AFTER THEY FINISH. WILL BE PRESENTED AT 2 PM IN THE AREA DESIGNATED. GOOD LUCK TO YOU AND YOUR RUNNERS. HAVE FUN AND RUN FAST. Your athletes must wear the timing chip in order to get an official time and place. NO TAG, NO TIME. 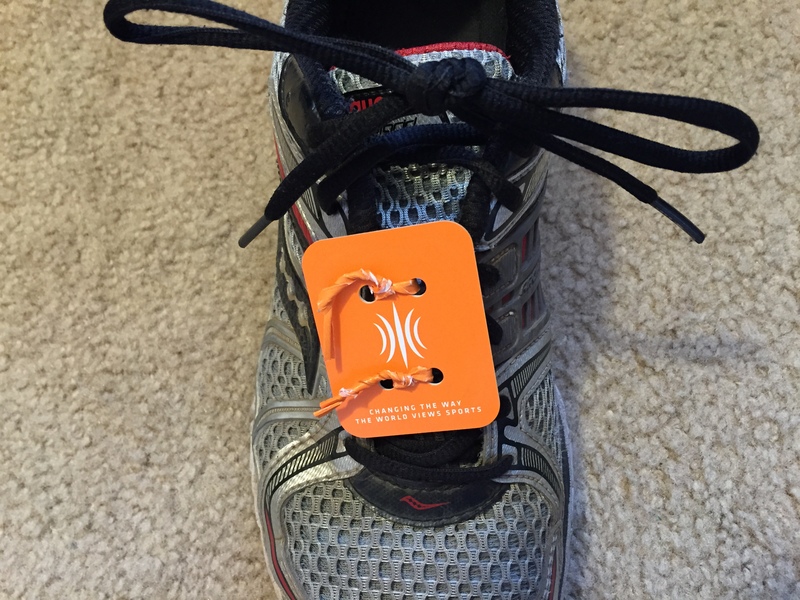 Your timing tag is not disposable…we will collect all timing tags after each race. Coaches, please be aware that there will be a $10.00 charge per chip not returned to the race official. 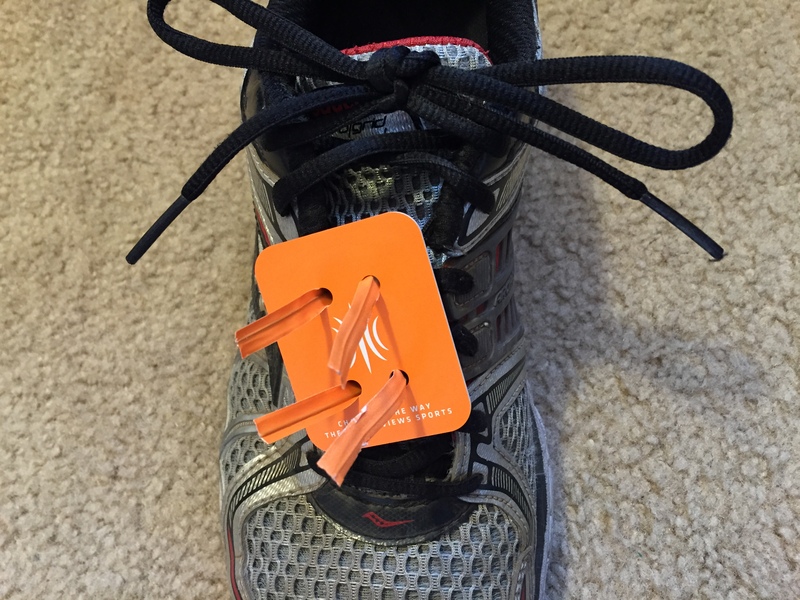 Attach one chip to a shoe. Make sure the number on the chip matches your bib number. We prefer that you attach the chip with the provided Orange Twist Ties. 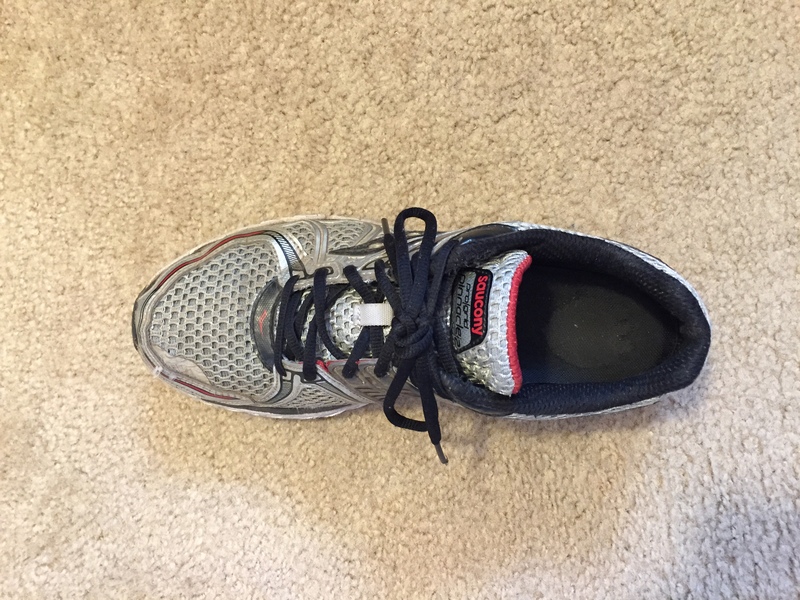 At the conclusion of the race the chip will be cut off the shoe. 1. With shoe laced slide each TIE under two rows of the shoe lace. 2. Attach the chip to the TIE by inserting each end through the chip in a horizontal (straight across) direction. 3. Snug up the TIE into place. 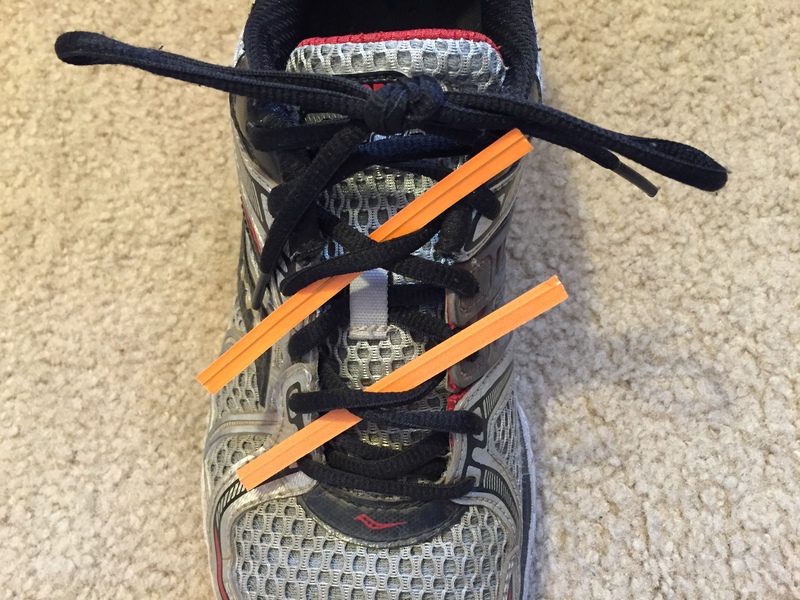 TWIST the tie to secure the chip to your shoe. Follow the same procedure for the second TIE. 4. Chips MUST be attached to the shoe. DO NOT run with the chips in your hand, pocket or pinned to your running top. 5. CHIP NUMBER MUST MATCH YOUR BIB NUMBER.